Contact center operations and the technology that’s used to aid the experience has progressed tremendously over the years (See 5 Pictures Revealing the Evolution of the Contact Center), however, popular opinion seems to have stayed the same. If we played a quick round of “Family Feud” and asked the general public what they thought about working in a call center, we bet the top answers would be something like “menial” “mindless” or “soul-sucking”. There’s no question that customer care is a tough job, but it’s far from mindless work, and with technology, contact center operations have become more exciting than ever before. However, there are still some tried and true methodologies that remain critical to proper customer care. 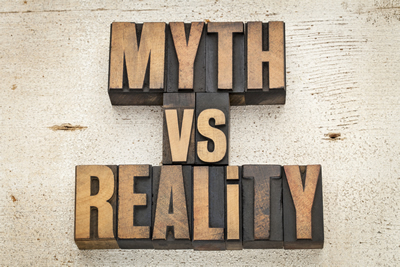 Let’s take a look at these 4 common misconceptions about the call center and debunk them with some hard facts. Untrue. The call center and customer service plays an extremely important role in a company’s customer retention and loyalty. Zendesk reported that 52% of consumers have made more purchases from a company after having a good customer service experience. Plus, happy customers are more likely to recommend a company to friends and family (87% of customers share good experiences with others). Therefore, when it comes to the contact center, quality service and a seamless experience can not only please customers, but can lead to more clients and greater revenue. That said, the reverse is true for call centers that provide poor experiences (95% of customers share bad experiences with others), so it’s important to stay on top of agent performance and metrics. We’ve heard it all before, web and mobile are going to overtake phone for customer service. I don’t know if you’ve tried to contact service via these avenues lately, but I can tell you on a personal level, the phone is absolutely integral to customer service, and the overall customer experience. Statistically speaking, 57% of customers have to switch from web to phone to resolve an issue, 75% think calling is the most effective way of getting a quick response, and 46% of customers prefer to talk to customer service on the phone about complicated issues. There’s no doubt that the telephone is still the number one channel for customers to connect with you (See Is there #VoiceShrinkage in the Contact Center?). There’s been a lot of “botmania” talk ever since Facebook announced that it would allow businesses to use them for online customer care. So, will chatbots erase our need for human customer relations altogether? At Fonolo, we recently tackled this topic in a Google Hangout (Chatbots: New Reality or Just Hype?) and although it might be early in the game for predications, one thing seems true: chatbots will never completely replace human interactions. Chatbots serve as an add-on for customer service to inform customers and drive sales, not replace personal interactions, especially not for support. Parmy Olson also covered this in a recent article for Forbes, “Could Chatbots Replace Human Jobs?”, and to sum it up: Bot integration is a long way out, so, let’s not get too manic about replacing our personal customer service agents just yet. Humans will always serve a purpose when it comes to maintaining support. 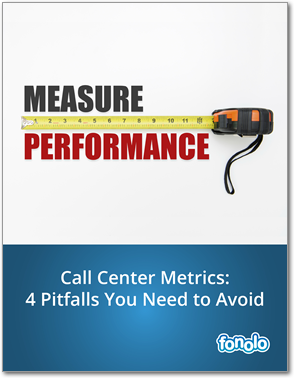 Metrics are an important way to keep call centers running smoothly and customer service performing optimally. Cost-per-call has always been an important KPI and still remains to be, however, the industry has matured and developed new metrics that also focus on customer satisfaction and quality. First Contact Resolution (FCR), One Contact Resolution (OCR), and Quality Scores are among the metrics that contact center managers now use to measure the quality of their interactions. The customer experience has become a major competitive differentiator for businesses, and though some operations managers still struggle with it, 93% of managers have listed it as part of their key priorities for improvement. "Statistically speaking, 57% of customers have to switch from web to phone to resolve an issue" is a pretty shocking statistic. It points out that as far as web service has developed, nothing can replace human to human contact when dealing with challenging situations.